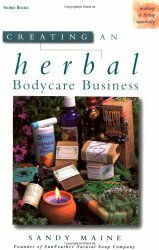 There are an overwhelming amount of herb books on the market. 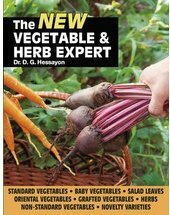 To be honest, herbs are a vast topic, so there is room for a lot, but it is hard to make a choice as to which book is the right one for you - which is the right level of knowledge - which covers the topic in the way that is most use to you. Apart from a little bias towards my own books <grin> I aim to give you a review of some of the most popular and useful - those that I enjoy and have got good reviews from others. By the way - you do not need a Kindle to read a Kindle book - you can download the app from Amazon for free and get access to Kindle books on your desktop, laptop, tablet or phone. As you can see, from the photo on the right, I have written my own herb book and I am bound to say that it is full of interesting and useful information! Urban bees are doing better than country bees and you can make a difference by growing herbs and flowers in your patch. Please click on the links to the right here, for a preview of the book - available as a paperback or Kindle. 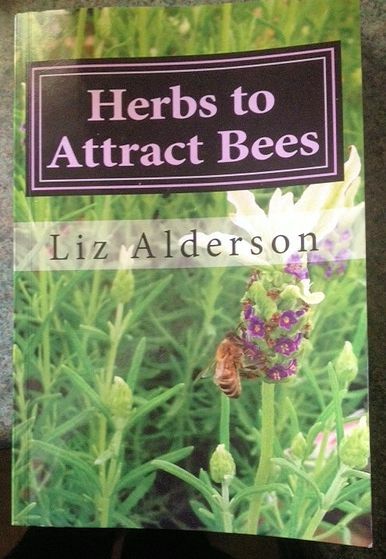 This is exactly my sort of book - lots of information with things to do and make - Liz has a great style of writing which is easy to understand and makes me smile with her little jokes. I love the fact that we can help just by planting a few flowering herbs or plants - every little bit counts. Click on the photo to find out more and get a preview of the book by following the text links. 2. what do I serve with fish. Click on the photo to see how it answers both questions and more besides. You could take these 30 recipes and cook a different meal every night for a year - it'll also give you transferable skills to use in all your cooking. 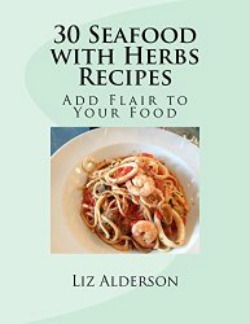 Eat more fish - season with herbs and feel the difference in your health. 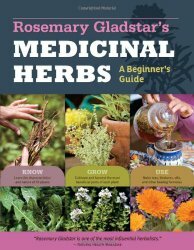 Rosemary Gladstar has written many herb books and is a well respected authority in the field of herbal medicine. This book has nearly 200 5* reviews. 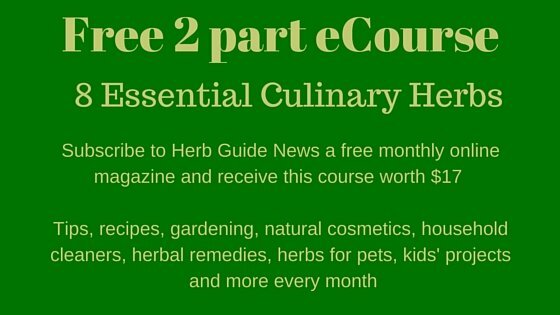 It covers basic methods of making remedies and there are 33 herbs Rosemary covers that will become the basis of your medicine chest. It's available in Kindle as well, so you can get an immediate download. The overwhelming feeling when reading this book, is one of warmth, that you have a friend with you, guiding you through from the very beginning. This is the series of books that I used as my bible when I was learning about gardening. The reviews for this series are fantastic - the only downside being the author is British and if you live in the US, you would have to do a little research regarding time zones for planting. However, the information is second to none - presented in an easy to understand manner (I was in my late teens when I first started with Dr Hessayon) and the books leave nothing to chance. There is zero knowledge assumed, without being patronizing - I don't know how he does that! It is available from 1 cent as a second hand book, so it's not a big risk - the button may say 'unavailable' - it is available at all times. Sandy Maine started with a $15 investment and created a business with a turnover of more than a million dollars a year and employing at least 20 people. This book is described as a 'How Can' as opposed to a 'How To' book. The reviews are mixed, with some people complaining about the 'New Age' philosophy and others eulogising - there are as many 1* as 5* reviews. However, Sandy has built a very successful business herself and as the book is a 'hard copy' you can buy one for under a dollar. Personally, I think it is a great read and is extremely inspirational - if Sandy can do it hauling water from a spring, so can we all!